Flash Season 3: What is Flashpoint? 2016 will be a big year for the CW, especially the Flash. With the Scarlet Speedster's 3rd season trailer debuting at SDCC, I couldn't be more excited. The CW has been giving DC Comics fans what they have been waiting to see from The WB and the DC Extended Universe since Arrow first premiered in 2012. While their movie universe has been a bit of an upward struggle, the shared television universe of Arrow, which introduced The Flash, which made it possible for Legends of Tomorrow; has been collectively lifting up the DC empire on it shoulders. This year will also mark Supergirl adding some muscle since her move from CBS, also introducing Superman and Martian Manhunter to the Arrow-verse. With season 5 of Arrow, the 2nd season of Legends of Tomorrow, and now Supergirl, DC's television properties give us hope that the heroes of DC still have their place in this Marvel monopolized era. There is no better evidence of this than the trailer for season 3 of The Flash. The finale for season 2 was more of an introduction to one of Barry Allan's more iconic storylines... Flashpoint. If you are vaguely familiar with DC lore from 2011 to now, you have more then likely heard those words before. If not, that begs the question... What is Flashpoint? In 2011, writer Geoff Johns (now president of DC entertainment), and artist Andy Kubert, created the story arc that would ultimately shape the world of DC comics to this day. Even Rebirth, DC Comic's current revamping of their universe, is still cleaning up the mess left behind by arguably Barry Allen's worst decision ever. Flashpoint stars Barry Allen, the 2nd (and probably the most popular) speedster to take the mantel of the Flash. Barry is a forensic scientist who is haunted and fueled by his mothers murder at the hands of his one day arch nemesis, when he was only a boy. His father was found guilty of her death, and Barry spent his life trying to prove his innocence. Using his incredible speed, Barry has the unimaginable power to travel through time. The ability has been used many times in both the comics and the CW show. When all else fails, Barry can go back and help reshape things based on his knowledge of a future he can't let unfold. Having such a seductive power, and the heartache of his mothers murder, he decides to go back and rescue her. Without giving any thought to the repercussions, Barry is welcomed to a world where he is no longer the Flash. His mother is alive, but as the story continues we learn that Superman is somewhat imprisoned, Bruce Wayne died instead of his parents. Turning Thomas Wayne into Batman to avenge his sons murder, and Martha goes mad, becoming this worlds Joker. Aquaman and the Atlantans are at war with Wonder Woman and the Amazonians, and Barry is helpless to stop things. It's worth the read, or at the very least, watch the Animated version on Netflix called The FlashPoint Paradox. What does all this mean for Grant Gustin and the rest of the CW's Flash cast? How will this affect Arrow, Supergirl, and Legends of Tomorrow? We will have to wait to find out. 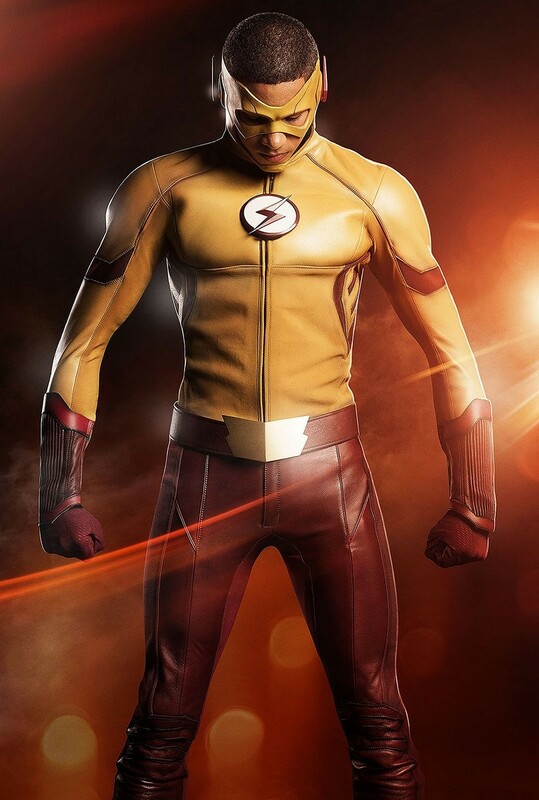 What we can say from the trailer is that we will see Barry become a little darker as he imprisons the Reverse Flash. Just as Zoom did to him in the previous season. We will also see Wally West, the third flash to take up the mantel in the comics, don his iconic yellow and red costume, and an unknown and very ominous looking speedster in black and orange. The Flash returns to the CW on October 4th, and I can't wait.